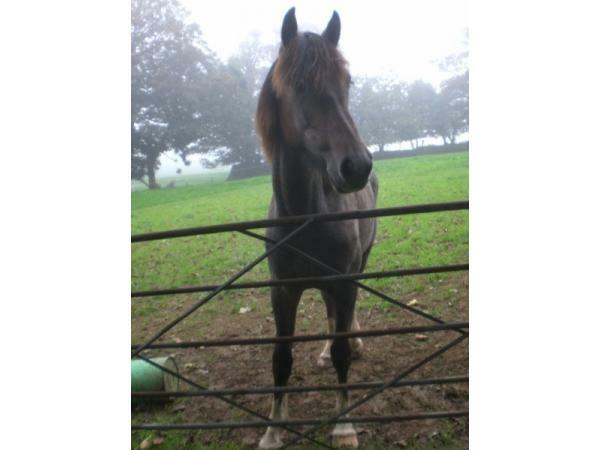 Additional Info: Dairy farm with farm walks to Helford River along private Nature Trail.Extensive children's play area with swings, bridges, slides, tree house and trampoline. 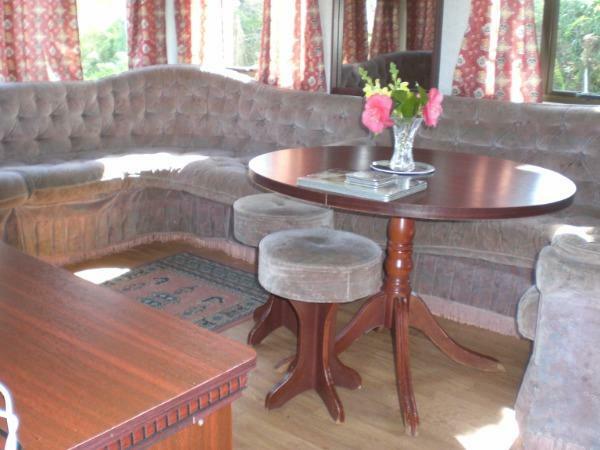 Games room with table tennis, pool table and numerous ball games and a viewing area to watch daily milking. At most times of the year there are baby calves that can be fed. 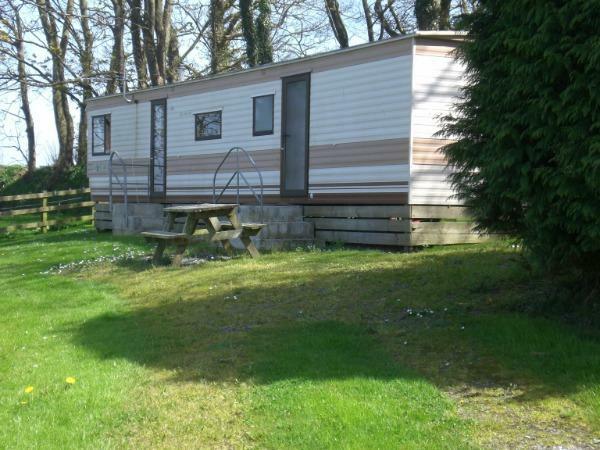 This three bedroom well equipped 6 berth caravan with parking directly beside the van is situated in a private position on a large grassed site with trees,surrounding fence and a picnic bench, patio chairs and BBQ for relaxing outdoor evenings watching the spectacular Cornish sunsets and beautiful countryside views across to the other side of the Helford River. 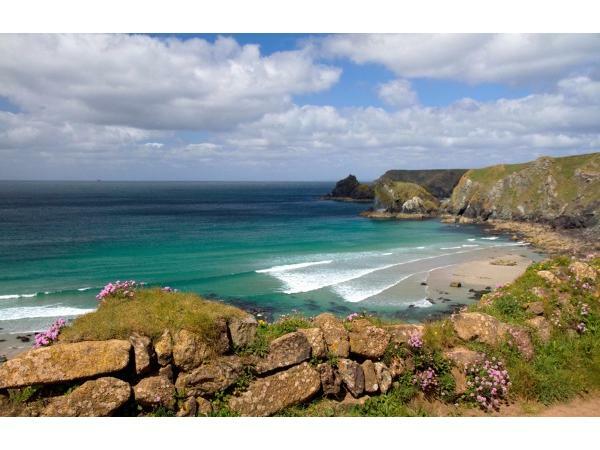 Mudgeon is on The lizard Peninsula an 'Area of Outstanding Natural Beauty', it is a dairy farm,so here, interested visitors can watch the daily milking from the comfort of the games room, where there are a full range of soft ball games, pool and table tennis. 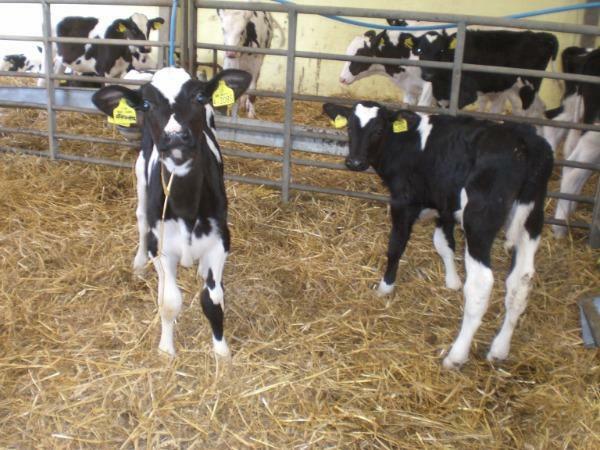 At most times of the year we have baby calves which can be fed. 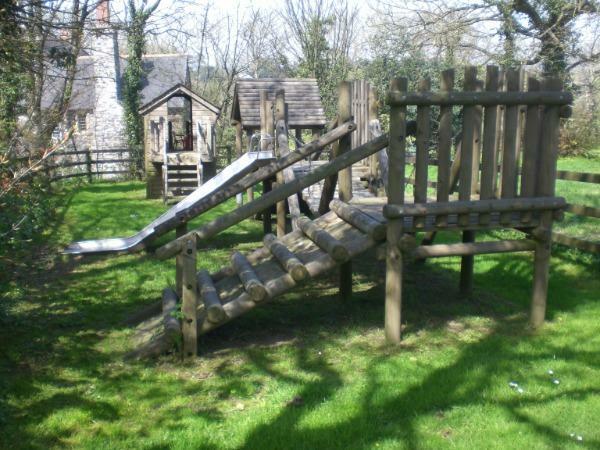 There is an extensive play area with swings, bridges,climbing frames, tree house, slides and trampoline. 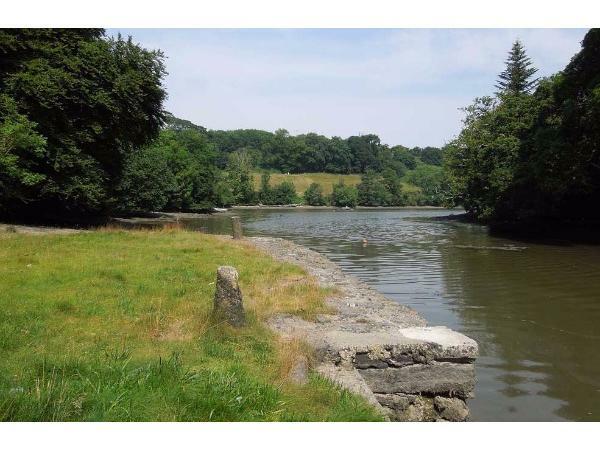 The farm has it's own private Nature Trail across Mudgeon Farm land to the breath taking National Trust's Tremayne Quay and woods on the Helford River where you can spend the day with a picnic or make a camp fire BBQ. 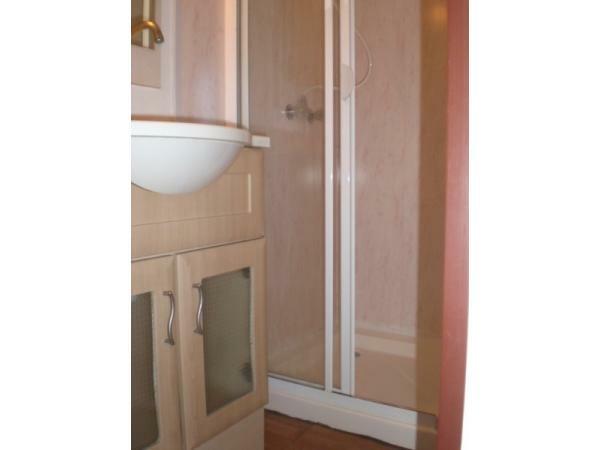 The caravan itself is large and spacious with lounge/dinning area, galley kitchen, 2 twin bedrooms and 1 double.The bathroom has a shower and vanity unit and there is a separate toilet. 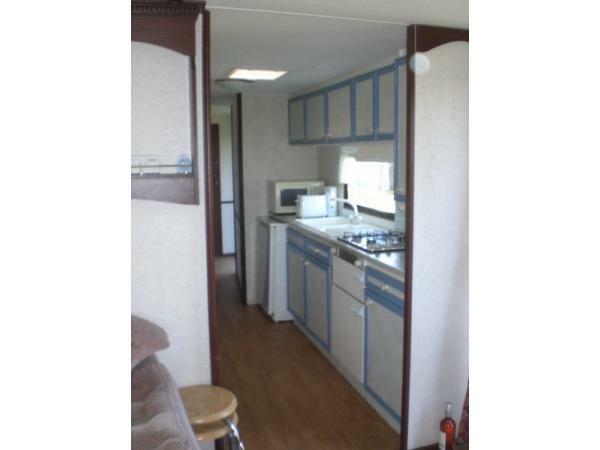 The well equipped kitchen has a full sized cooker,fridge, microwave and full range of cooking utensils etc. 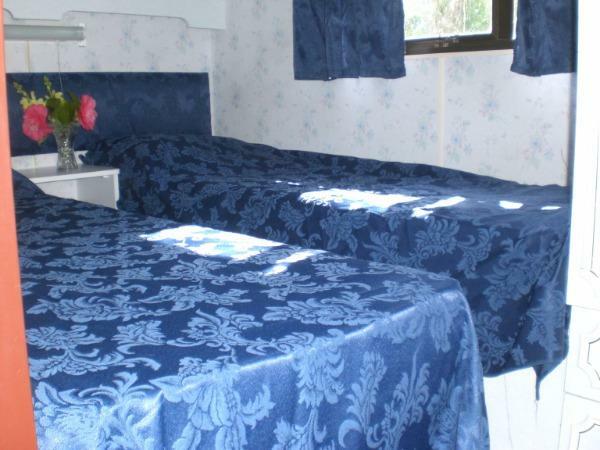 All beds have pillows and duvets but bed linen is NOT provided. 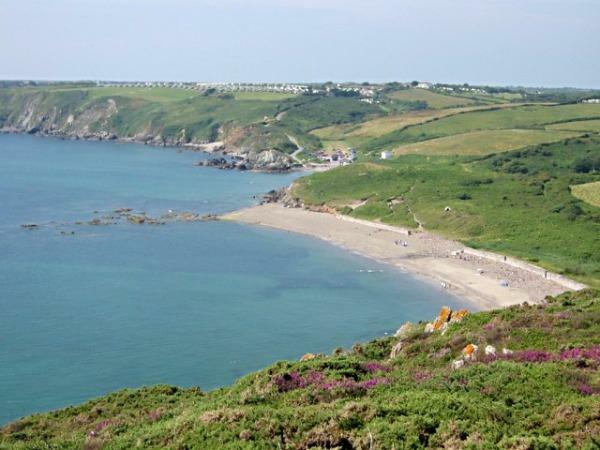 With in a few minutes drive there are all the spectacular areas on the Lizard Peninsula with its safe sandy beaches, quaint fishing coves and breath taking coastal views and walks. Flambards Theme Park at Helston is only 15 minutes away and once you are at Helston all the Cornish attractions and beaches are with in 3/4 hours drive, including St Ives, Lands End, Newquay,The Eden Project and National Trust properties and Gardens such as Glendurgan, St Michaels Mount and Trelissick, to name but a few. Here at Mudgeon you can relax totally, switch off from your hectic everyday life and catch a holiday to remember in the beautiful Lizard country side. No reviews found. 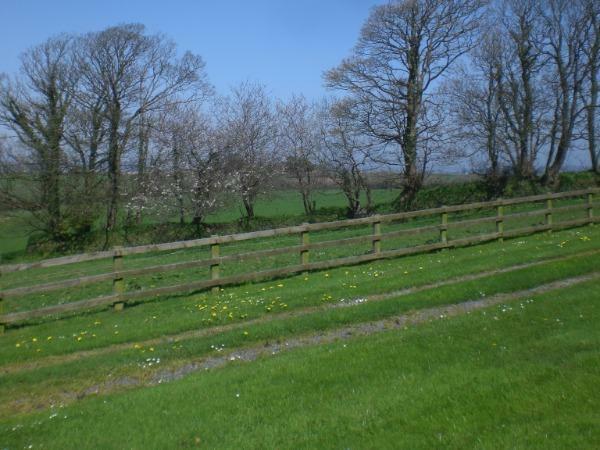 If you have recently stayed in this holiday home please leave a review, it only takes a few moments and will really help future guests when they are searching for holiday accommodation at Mudgeon Farm - Private Land.